coffee mug for a great cause! 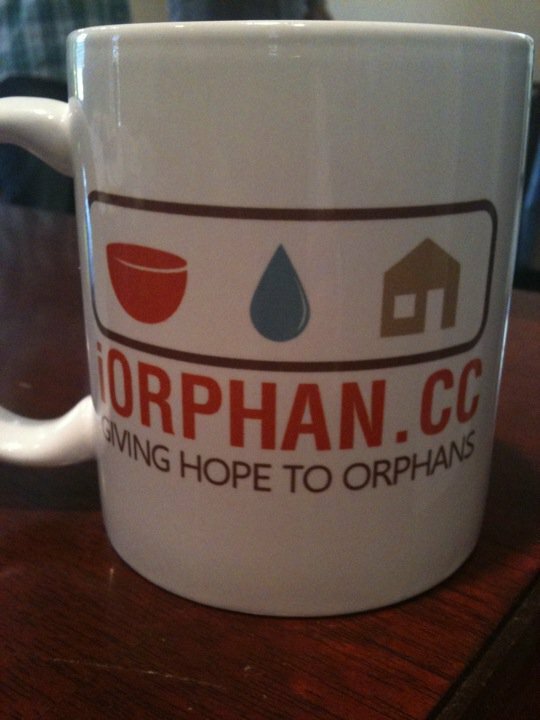 For the next seven days, everyone who donates $30 or more to the children of International Orphan Support will receive one of these awesome coffee mugs. IOS is a non-profit organization that exists to give hope to orphans worldwide. Your donation of $30 will meet the basic needs of one child for one month. For info on iOrphan or how to donate, visit iOrphan.cc. Hey, “like” them on facebook, too! Disclaimer: no hot coffee will be contained in the cup when shipped!